Had masala chai for the first time last weekend in Jaipur. Now understand what the fuss is about. Thank you! So kind. Back in Dubai now and hurriedly writing up my Jaipur experiences. Can’t wait to read them Sally! 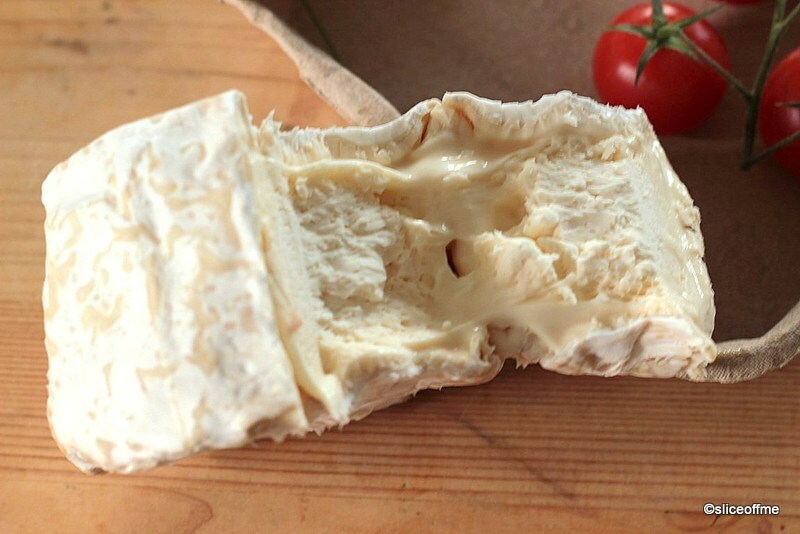 I am reading nothing but good things about all of the Tesco Finest Range, that cheese looks amazing! I agree Helen, I really am in love with the Tesco Finest range. Oh yes the cheese is really good! 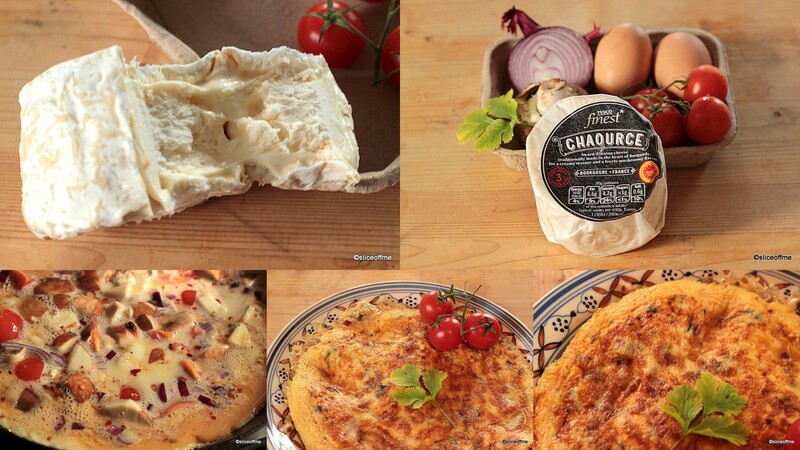 I haven’t tried this cheese before but it looks lovely and a great use within an omelette. Will keep an eye out for it. The cheese looks good. they’d run out by the time it got to me, so I never did get to try any. 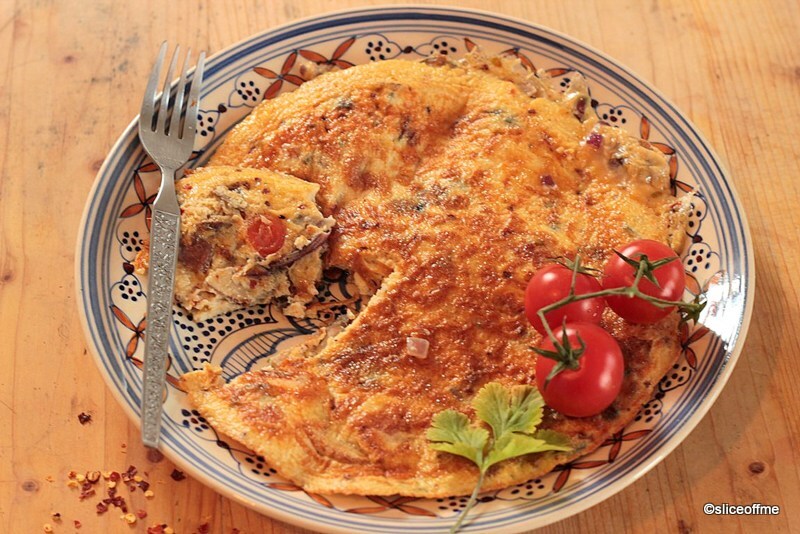 Your omelette looks rather good too. oh no Choclette! U must get urself some and try it out though,maybe a cheese and chocolate recipe 🙂 thank you , I love eggs and omelettes! 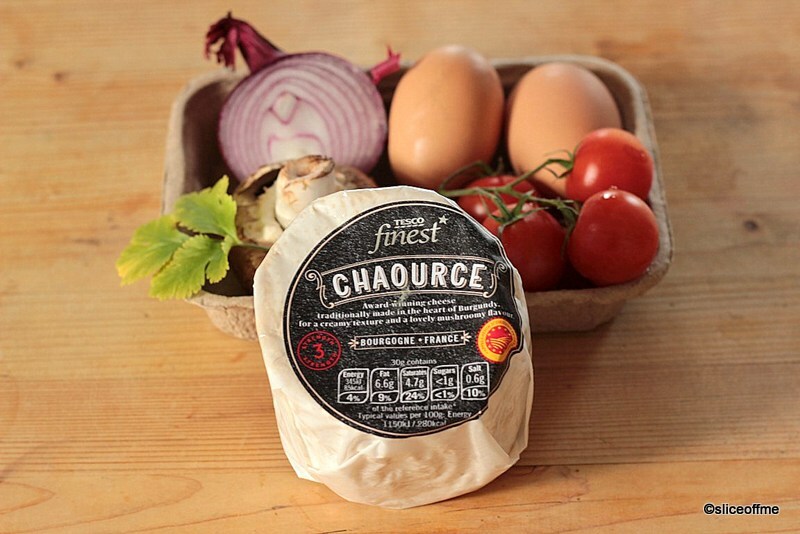 Oh wow that Chaource cheese looks delicious, with the creamy velvety texture. 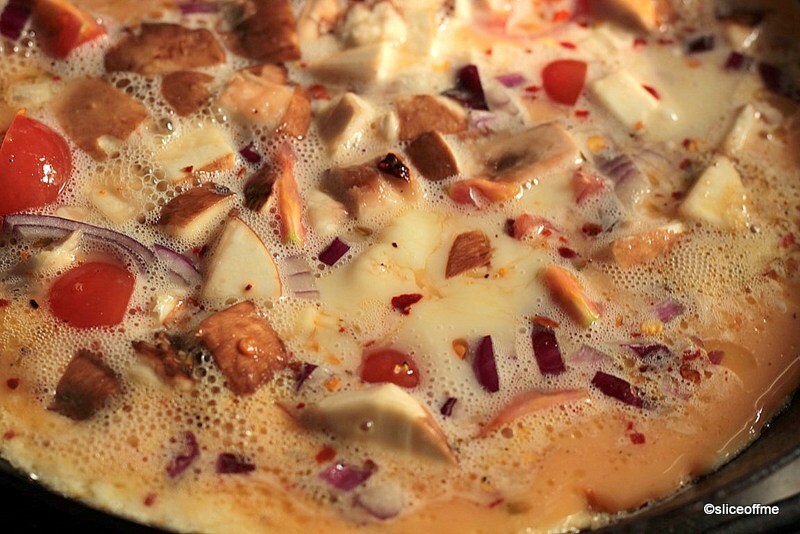 I can imagine that omelette must taste amazing, with its cheesy centre oozing out. Perfect way to start the day, or just anytime really. oh yes Tina it was a real treat ummm! Mmmm… I can almost smell this yummy dish! Looks delicious – thank you for sharing! oh wow that looks so good. 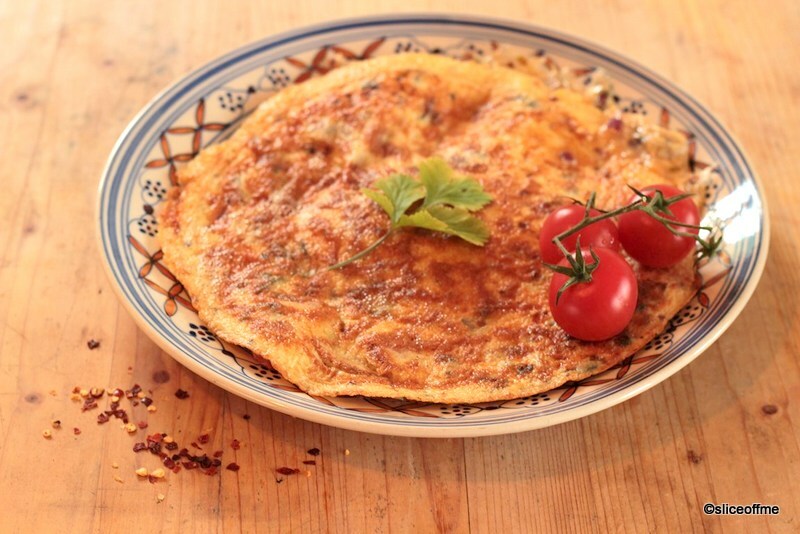 I love an omelette, fritatta, tortilla…call it what you will and throw it in the pan with some eggs and it is always delicious. 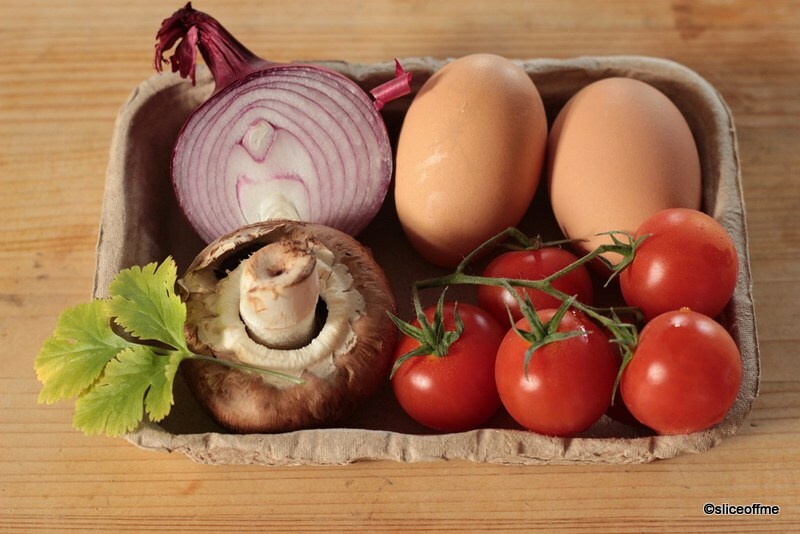 Love the photo of the ingredients. 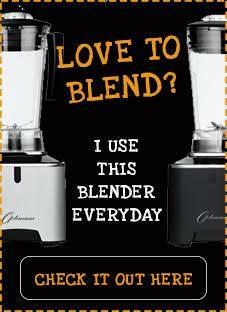 Oh yes me too Love eggs and love cooking with them! Thank You , yes that and the cheese one are my fav pics from this post too! A rather perfect breakfast omelette. 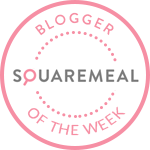 I adore a cheesy omelette and yours really looks the business! Yum! Yummy! 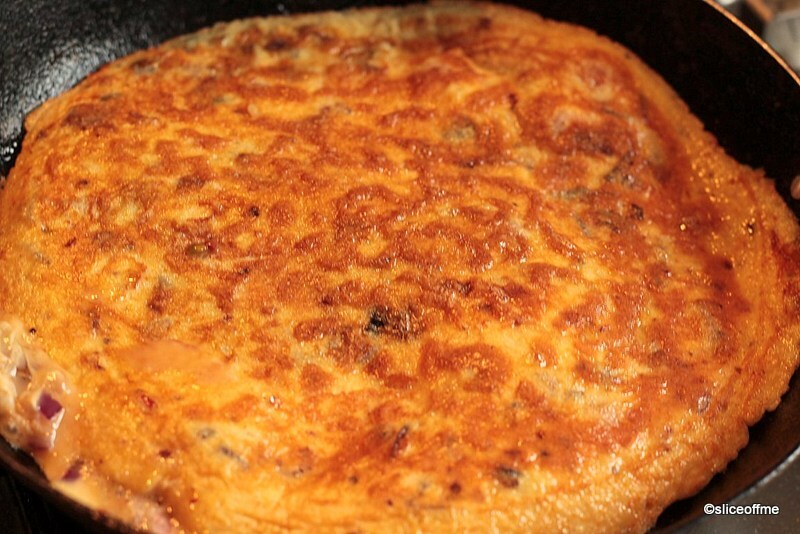 The cheese looks pretty sublime to me, as does your gorgeous oozy omelette. Yes please! Thanks Louisa 🙂 Oh that cheese is so good, Risotto for dinner tomorrow I guess! I am fasting today. So I am currently slavering all over the screen. That looks soooooooo delicious!!! 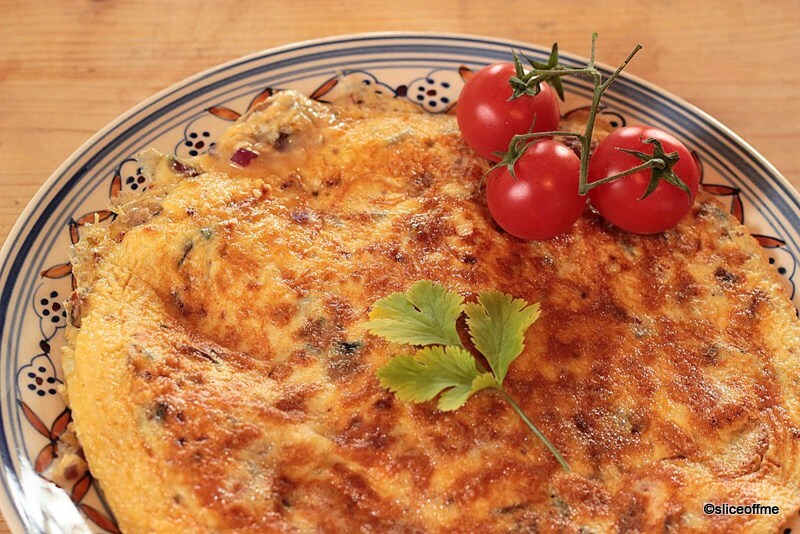 I am not the greatest omelet fan but that cheese does melt lovely – I used it in my potatoes. Ooo that would make the potatoes so so irresistible!